Notre Dame to become part of CitySquare? 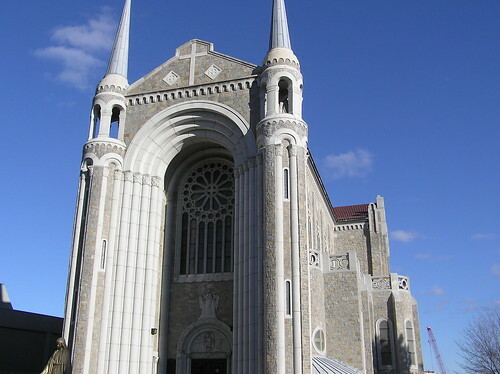 The T&G reports this morning that Frederick H. Eppinger, head of lead CitySquare investor Hanover, wants to incorporate adjacent Notre Dame des Canadiens Catholic Church, which was closed by the diocese 2 years ago. Mr. Eppinger said there are no plans to demolish the church structure, which was built in 1929. He said it will no longer serve as a church. This is great news, but what will they use it for?